VisitEngland’s unique awards are given in recognition of exceptional quality within a property’s star rating, or for outperforming a star rating. 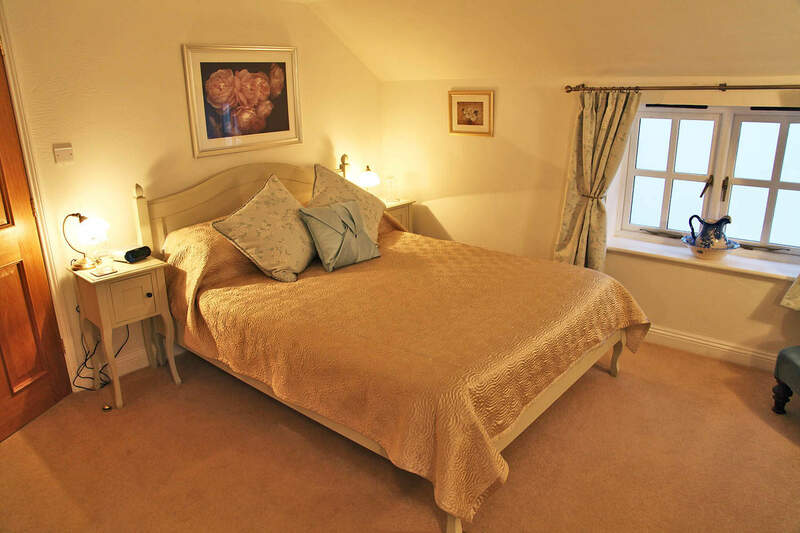 Our idillic B&B has been awarded a 4 Star rating, a Gold award of excellence, a Breakfast award, and recently the ROSE award! The Garden Room is on the first floor overlooking our established garden and the small lily pond. 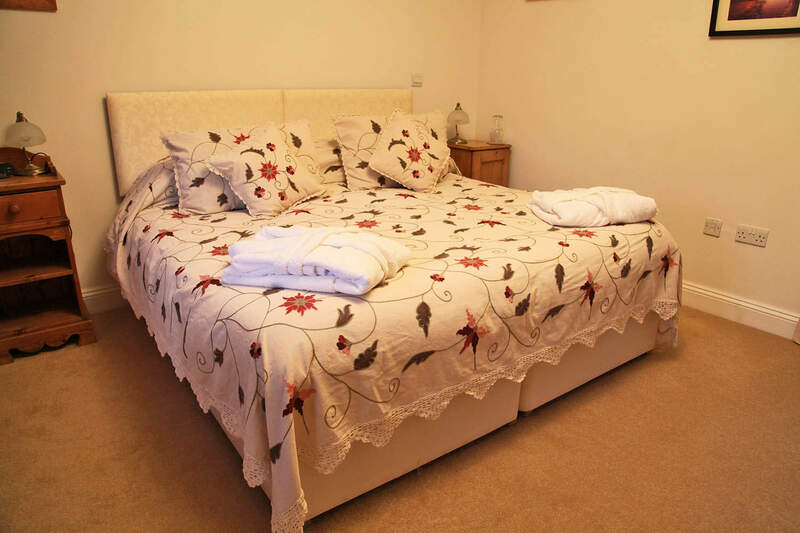 It is a spacious room with a king-size bed with a memory foam mattress. 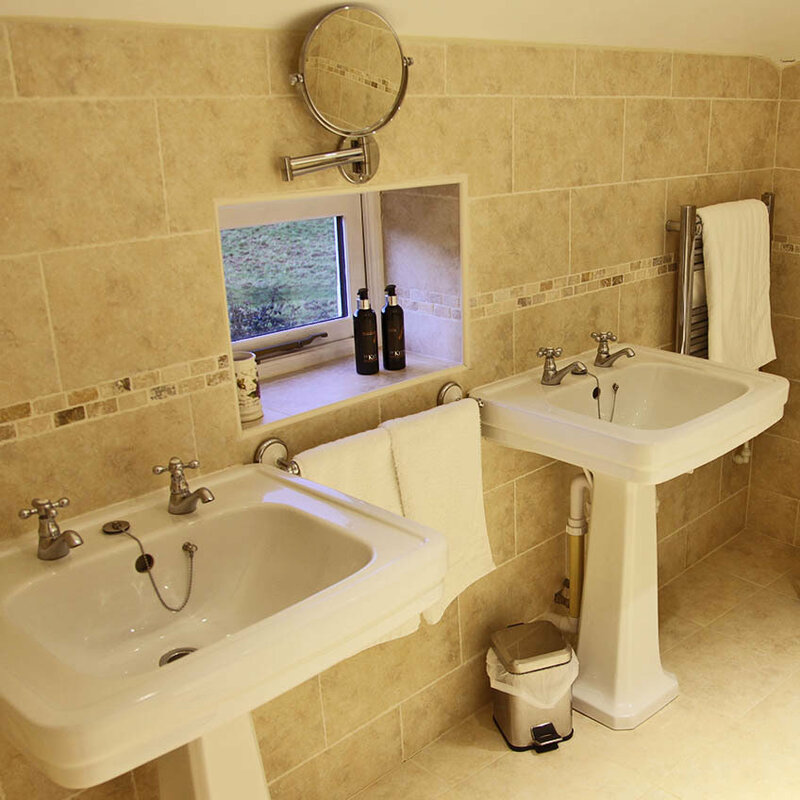 The ensuite bathroom boasts twin washbasins, a bath with hand shower, toilet and separate shower enclosure. Large fluffy towels and bath robes are provided, along with local St Kitts Herbery toiletries. Beach towels and an iPod dock are also provided for your use. The Courtyard Room is on the ground floor accessed by a ramp from the back courtyard. It is a super king/twin bed with memory foam mattress. There is a spacious wet room ensuite with large fluffy towels and bath robes provided, along with local St Kitts Herbery toiletries. Beach towels and an iPod dock are also provided for your use. The view from the back window is across the courtyard and the fields beyond. Both bedrooms have the use of two patios. The herb garden faces south and the rear courtyard catches the afternoon and evening sun. 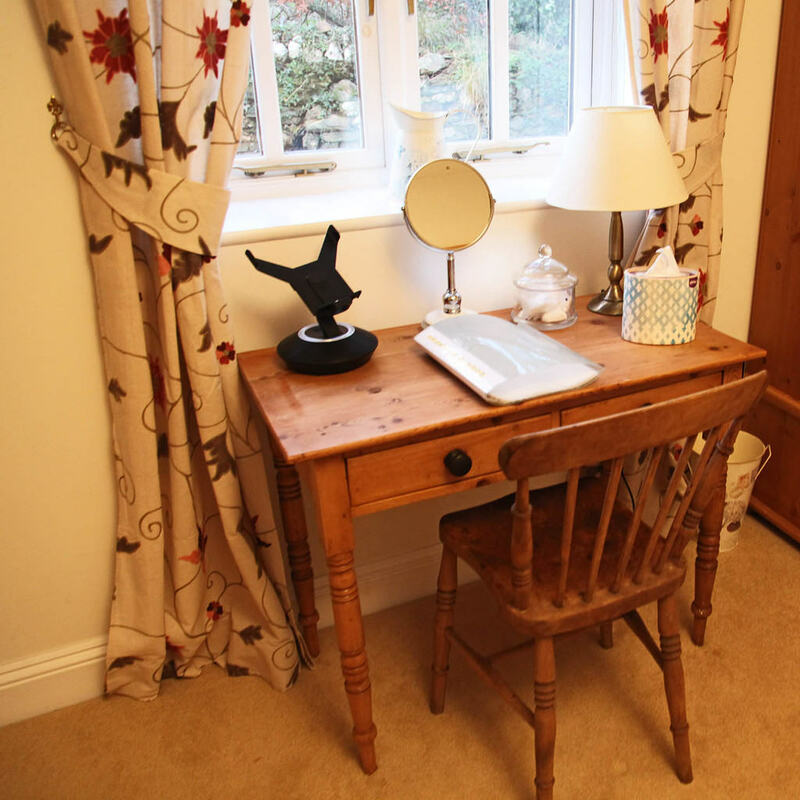 Each room has a TV, superfast WiFi, tea/coffee facilities and a sample of local apple juice. Each room also offers bathrobes, and iPod dock and delightful toiletries form St Kitts Herbery. Our water is well water so no need for bottled water!! The lounge is spacious with a huge comfy leather sofa and chairs where you can watch Free sat TV on a large screen television or listen to your own music on the iPod dock. 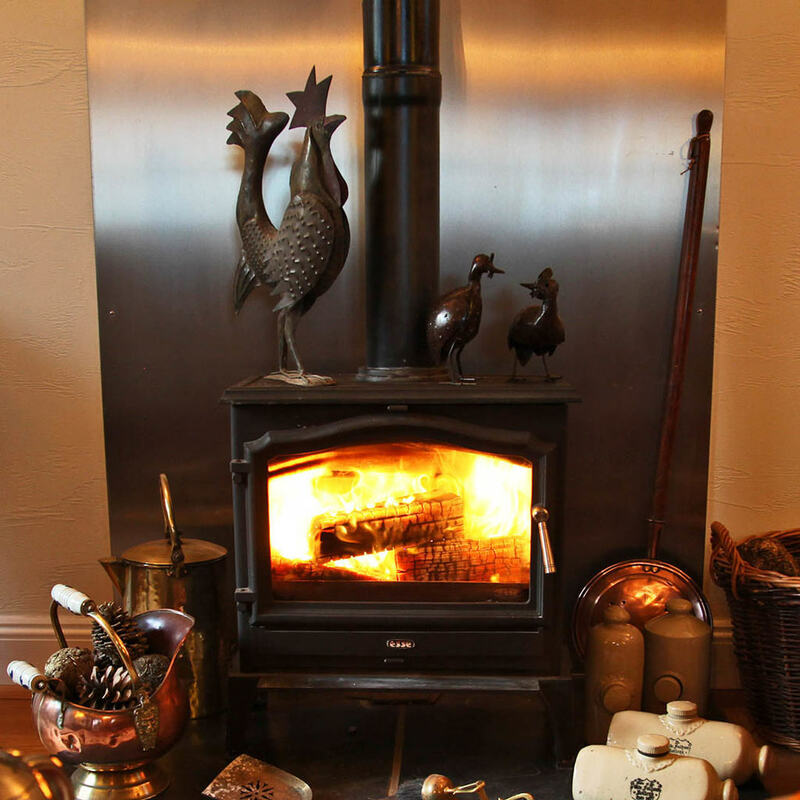 There is free WI Fi and a log burner to keep you cosy on those cooler autumn/winter evenings. There is also a fridge to store your fresh milk for tea /coffee and chill your wine if you fancy that night in by the fire. 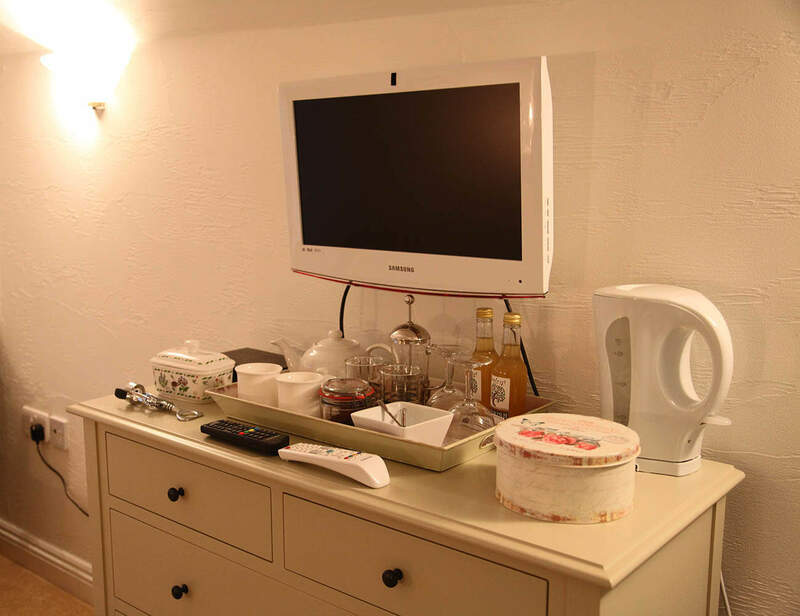 A microwave is also provided in the lounge for your use. Breakfast is served at the rear of the lounge and cooked in the adjacent kitchen on our Aga. Wherever possible the food is home produced eggs from our chickens, bacon and sausages from our free range pigs and tomatoes from the tunnel. The bread and preserves are homemade too, the fruit coming from our fruit cage (except the Seville oranges for the homemade marmalade!!) All helping to reduce food miles. Wherever possible all our ingredients are locally sourced and produced supporting the local economy. You can check out our breakfast menu here. We also offer packed lunches on request and on those occasions when you want to stay in, I can cook a supper for you to enjoy in the lounge at your leisure (these need to be prearranged.) If you fancy something different why not ask Andrew to fire up the Pizza oven overlooking our large lily pond and then create your own Pizzas and enjoy an evening in the fresh air!? 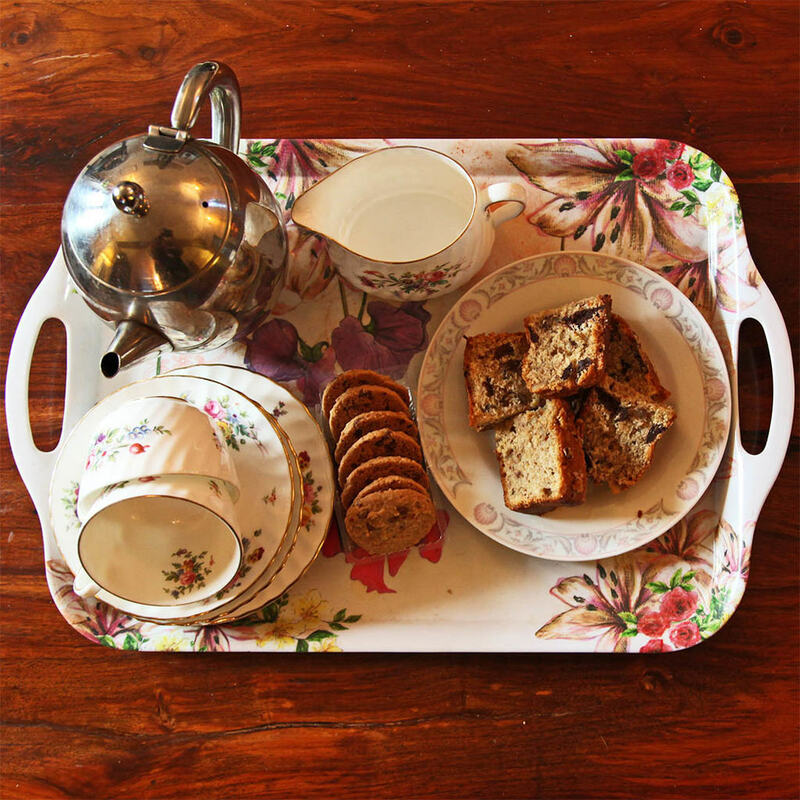 Afternoon tea can be served if ordered ahead. Prices on request.